As technology advanced, companies are coming up with ways to create electronic devices that aim to make the life of the general population more convenient. The development of Bluetooth speakers is certainly one of the best ways that technology has helped those who are avid lovers of music. 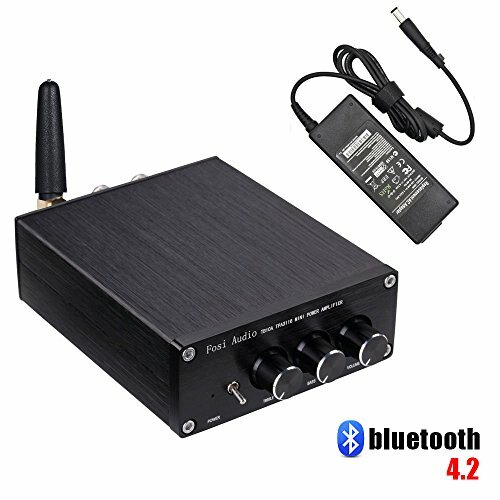 With a Bluetooth speaker, you can easily listen to music no matter where you are – you simply need to make sure your speaker is charged, connect to it with your mobile phone, tablet, or even a computer, and then hit the play button. Even though Bluetooth speakers have become very popular, a lot of people are still struggling to get the maximum level of sound from these portable devices. Sure, it is easy to place the speaker anywhere and then hit up some music, but there are many cases where the user may not be entirely happy with the volume of the sound that is emitted from the speaker. Luckily, there are several simple steps that can be taken to truly get the most out of a Bluetooth speaker. Here, I will list a couple of tricks and tips that you can try out to make your Bluetooth speaker louder and enjoy higher quality sound. For those who are familiar with audio you’ll know one of the tell-tale signs of an underpowered set of headphones is low volume. What many people don’t know, however, is this can also be the case with Bluetooth speakers. They essentially work the same was a headphone amplifiers – they increase the strength of the signal which drives more volume on your speaker. The sound quality should also improve if your speaker is underpowered. These amplifiers are designed to be used with hi-fi systems, but they will also work with consumer grade Bluetooth speakers. If for some reason your speaker volume is always quiet you can try upping the Bluetooth output volume on your device. Enter the developer mode by tapping on the “Build Number” 7 times. You should now see a developer settings option. Tap into the developer settings option and find Network Selection. This should now prevent your phone from limiting the volume on your Bluetooth speaker. The same procedure will work for Bluetooth headphones. If you have an Apple device, head over to my article on making your headphones louder to see how to remove the volume limit there. Start by taking the actual Bluetooth speaker that you want to make louder into account. Sure, all of these devices essentially have the same function – to play the music you select on your phone, computer, or tablet. This, however, does not mean all the Bluetooth speakers on the market are exactly the same. These products are made by different brands, from various components, and their features also often defer. For this reason, it is crucial that you take a specific speaker into mind. Some speakers have better technology and better quality electrical components installed on the inside – this would obviously mean that the sound will sound better and the speaker will likely be able to play music louder than a cheaply made option. If you are looking for maximum volume, check out my article listing the loudest Bluetooth speakers on the market. Be sure to look at the technical specifications of the Bluetooth speaker as well. This will usually give you a good idea of how loud the speaker can play music and the overall quality of the sound that will be produced by the speaker. If you haven’t purchased a Bluetooth speaker already, then be sure to take all of these factors into account when you do go out to shop for one. This will help you buy a speaker that is loud enough to satisfy your preferences. If you have already bought a Bluetooth speaker and you are not completely satisfied with the volume of its sound, do not worry. There are ways that you can still get better sound from your portable speaker. Repositioning the speaker in the environment where you wish to use it is a great way to maximize the loudness of the speaker. 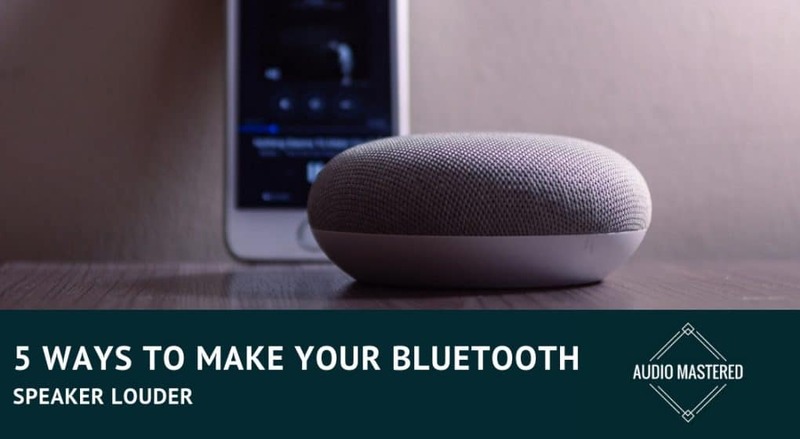 This is usually more convenient and much easier when it comes to using a portable Bluetooth speaker that is operated with a built-in battery, but the same steps apply to a standard speaker with built-in Bluetooth technology that connects to an external power source. You are likely to feel surprised when you discover just how much of a difference changing the position of your Bluetooth speaker can make in the room that you are using it. For example, many people find that the speaker will have added bass and sound louder when they place a speaker on the floor, especially in the middle of the room. Now, on the other hand, placing the speaker on the floor does reduce the treble of the sound. To bring back the treble, you’ll have rather to place the speaker on a table. If you move the Bluetooth speaker to a different area of the room, such as into a corner, then you’ll experience a boost in bass, but moving it too close to a corner can ruin the sound. You will have to experiment a little in order to find the most appropriate location to place the Bluetooth speaker in order to maximize both volume and sound quality. Start with the center of the room – this is a good place to get an idea of how the speaker will sound when emitting sound around the room. Then, from there, move to other areas of the room. Move the speaker closer to each corner and even toward each of the walls. Use the same song or sound in order to test the sound of the speaker in all of the locations that you will be placing the speaker. This way, you’ll be able to hear where the speaker sounds better, where the sound seems to be louder, and where the most ideal location is in the room. One final tip – be sure to look at the settings offered by the Bluetooth speaker that you are using. If there are no menus to navigate on the device itself, then take a look at the instruction manual that came with the speaker. Make sure that you turn the volume of the speaker all the way up. The volume of some speakers can also be adjusted through the device that it is connected to – so make sure your computer or mobile phone’s volume has also been turned up all the way. Bluetooth speakers can really make life easier since they are portable, easy to move around, and usually small enough to carry around with you. The only problem is, the volume on these devices are often not to the full satisfaction of the user. Fortunately, with a couple of tweaks, you can often experience a significant increase in the maximum volume of the Bluetooth speaker. If you want to find out if your Bluetooth speaker can go louder than it already is, then simply try out what we discussed in this post.